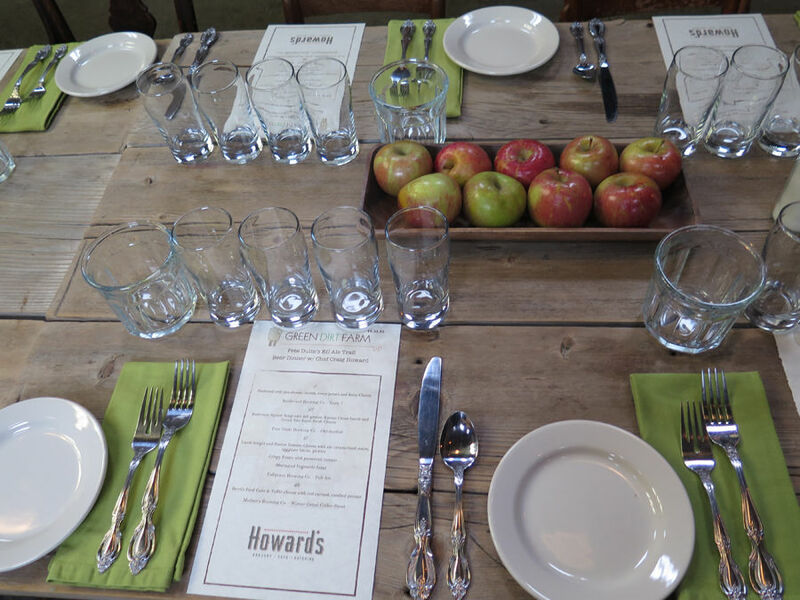 Green Dirt Farm hosted a KC Ale Trail beer dinner on October 31st with Chef Craig Howard of Howard’s Grocery, Cafe and Catering, and myself as guest speaker. 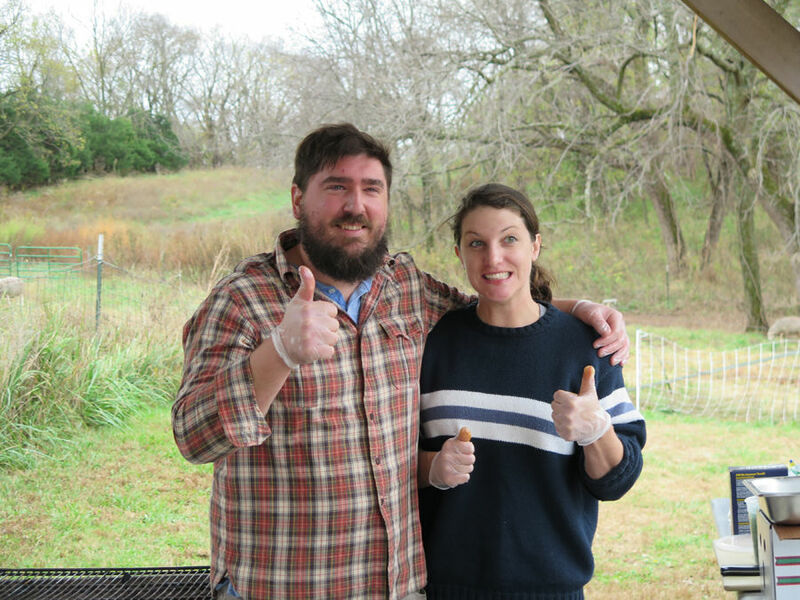 ReGina Cruse of Green Dirt Farm, Craig and I worked together to plan this end of harvest event and cross-promote the farm’s cheeses, my book, local breweries and beer, and Craig’s new cafe. The evening turned out to be beautiful with a crisp chill in the air and clear skies. 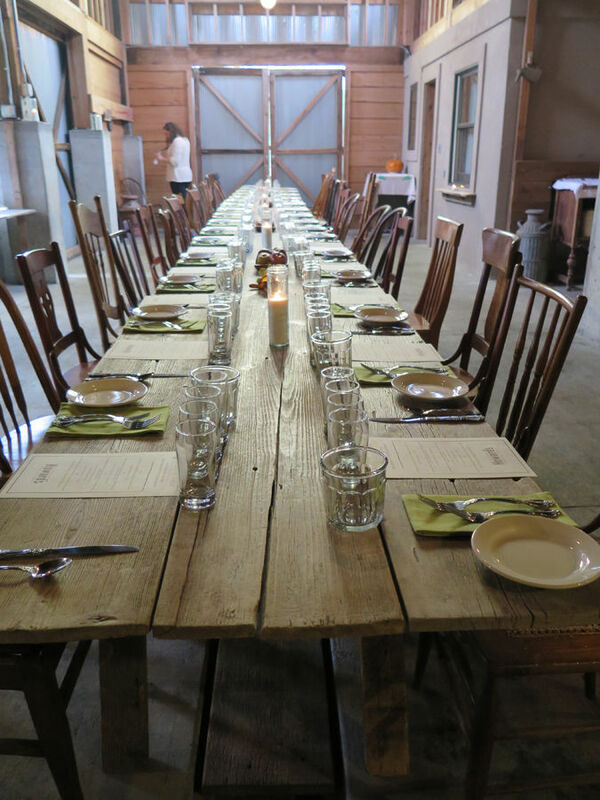 The barn was heated and cozy and the family-style dining table was set. 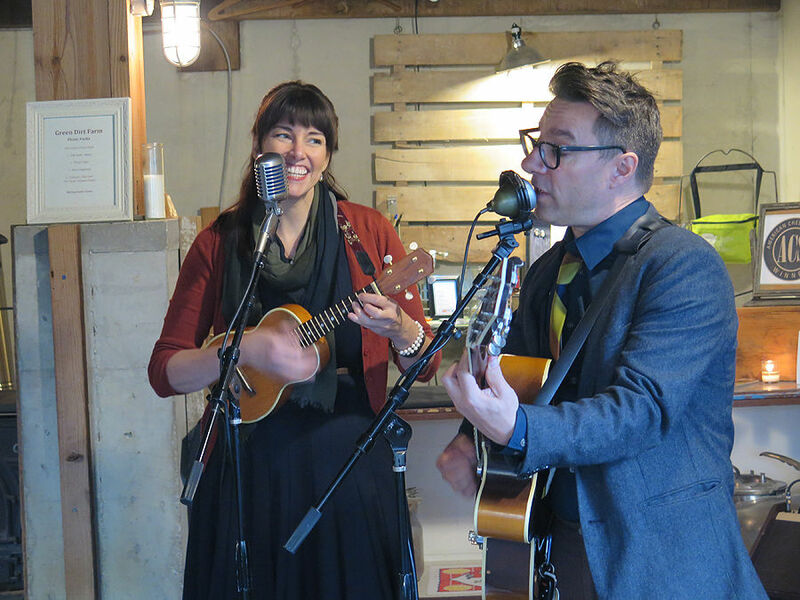 Musical duo Victor and Penny arrived and set up to perform acoustic sets before and after the beer dinner. Their charming sound created a perfect relaxing backdrop for the event. Craig Howard and Allison Muller. 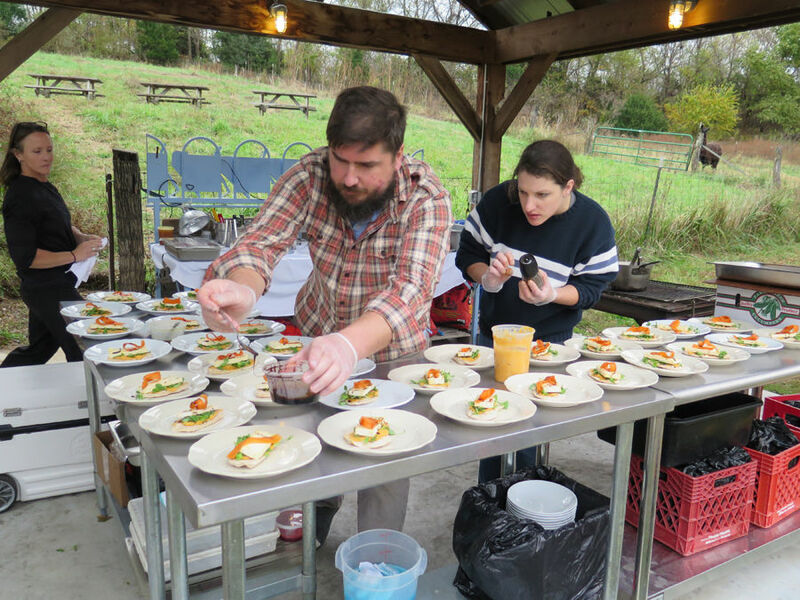 Craig and his assistant Allison Muller busied themselves setting up an outdoor kitchen to finish preparation of the four-course meal. 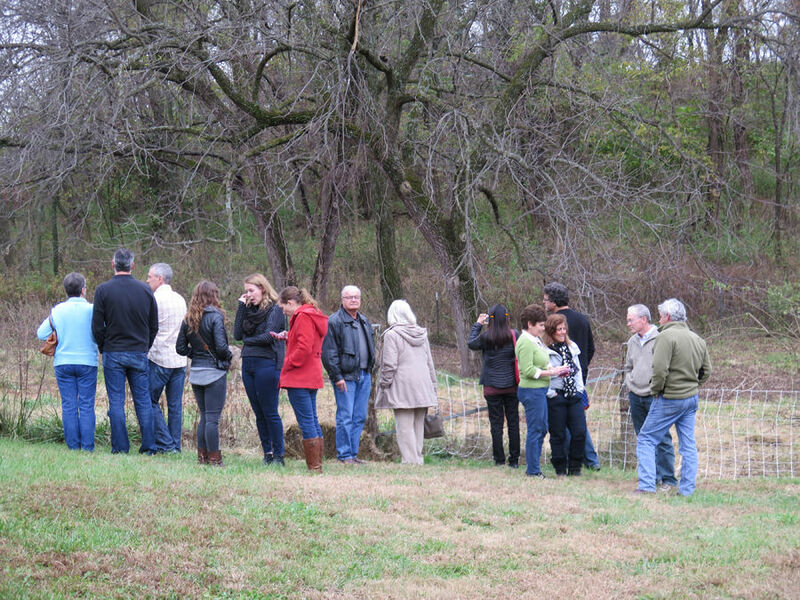 Once all of the guests arrived and visited a small flock of sheep grazing nearby, the group settled at the table. 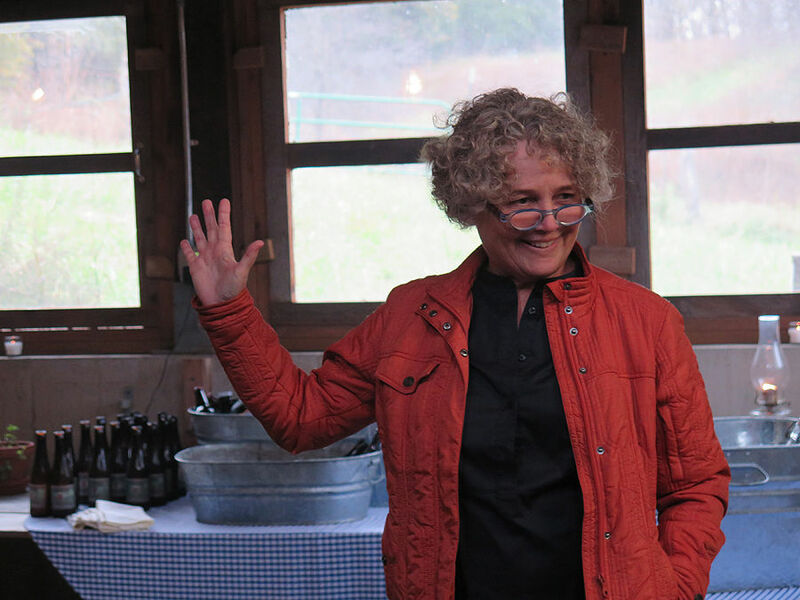 After introductions and a welcome by farm owner Sarah Hoffmann, I shared some back story on the making of KC Ale Trail, why I wrote the book, and the “grueling” beer research behind the effort. Green Dirt Farm owner Sarah Hoffmann. Soon, we launched into the first course. 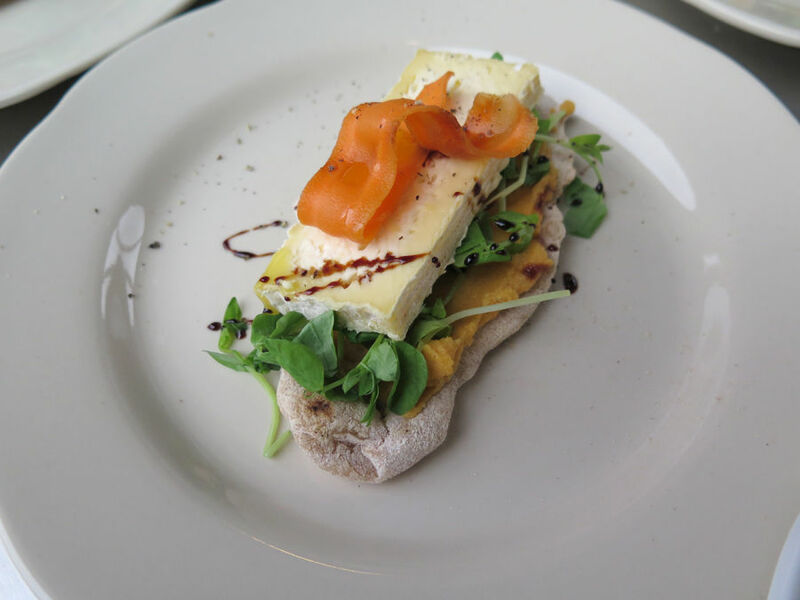 Servers brought out plates of flatbread topped with Ruby cheese, pea shoots, carrots, and sweet potato. Ruby is a new cheese from the farm made of 100-percent cow’s milk. The cheese is buttery, tangy and floral. According to ReGina, it has been washed for the first two weeks of its life and then grows a beautiful powdery bloom. The cow’s milk is sourced from Jerry Miller and his family who live in Stanberry, Mo. I chose to pair this dish with Boulevard Brewing’s Tank 7, a Farmhouse Ale style with a floral and citrus-y hops nose. The flavor begins with a soft, sweet maltiness and a brief finish of hops bitterness and citrus-y grapefruit. I felt the floral aroma of the beer would match the aroma and tanginess of the cheese while the malt would complement the flatbread. For the second course, Craig prepared a butternut squash soup that matched the spirit of the fall season. 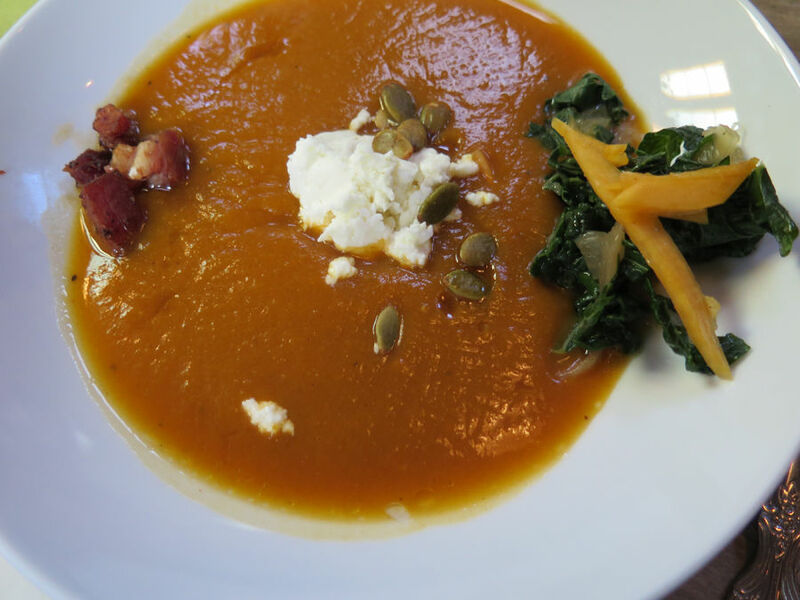 The soup was garnished with sauteed local greens, local bacon, pepitas, and fresh cheese from Green Dirt Farm. 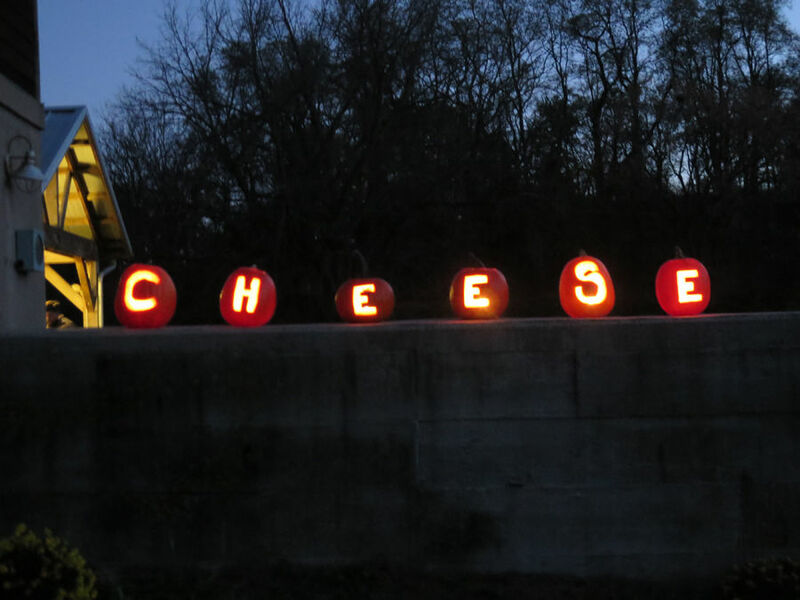 The cheese is soft, crumbly and mild-tasting. I decided on Free State Brewing’s Oktoberfest for this course, a seasonal beer with a solid balance of caramel notes from malts countered by a touch of hops bitterness on the finish. 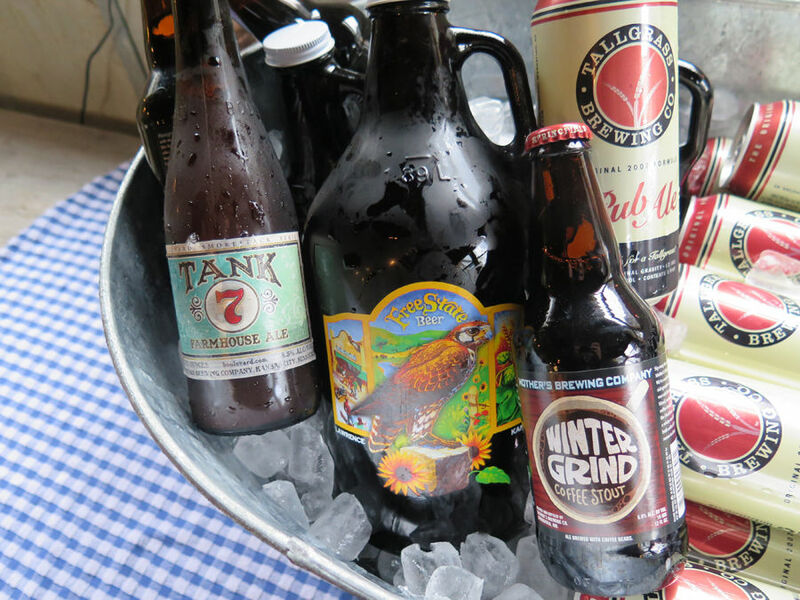 The pairing worked quite well, underscoring the seasonal nature of both food and drink that both farmers and brewers honor year-round. 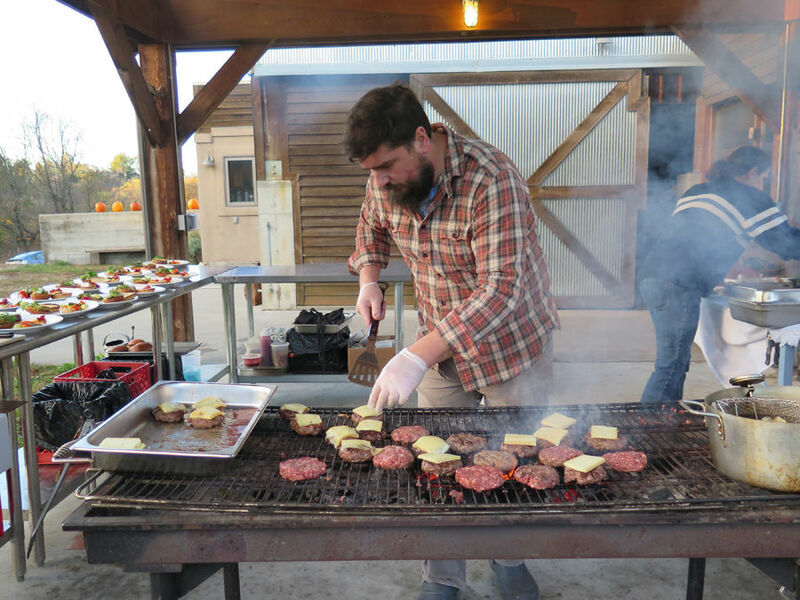 Next, the main course of ground lamb burger on Farm to Market buns included Green Dirt Farm’s Prairie Tomme cheese, ale caramelized onions, eggplant bacon, pickles, and sides of marinated vegetables and crispy potato with preserved tomato. Craig Howard excels at using and preparing a variety of local and regional ingredients with different cooking techniques. 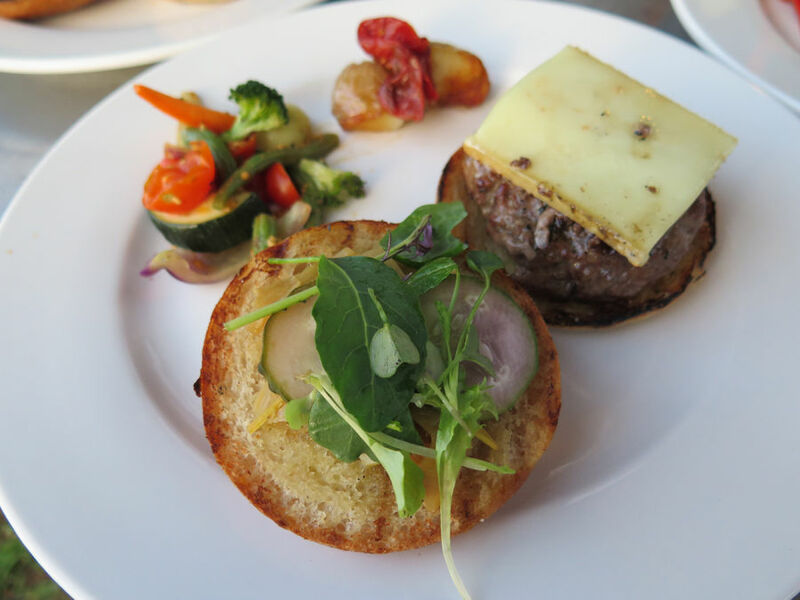 This dish was an elevated play on pub fare – a burger with cheese and potatoes. In that spirit, the light-bodied Pub Ale from Tallgrass Brewing made sense at a match-up. This lower-alcohol session beer was made for knocking back one or three with this type of food. Craig just turned up the creativity and flavors. This beer’s malt profile jumps out with caramel flavor. It was a popular pairing and course for guests that came from Dallas, Kansas City and outside of Lawrence and Blue Springs. Gradually, our bellies were getting full. 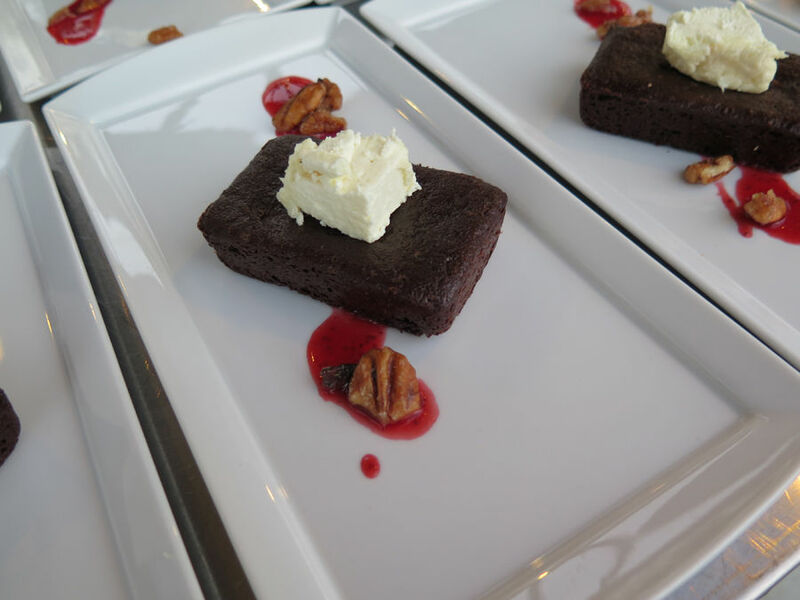 We did save room for the dessert course of devil’s food cake loaded with Tuffet cheese and candied pecans, plus a drizzle of red currant sauce. This rich chocolate-laden cake and the dense cream cheese-like texture of the Tuffet needed a bold beer to anchor the pairing. Rather than a chocolate milk stout, I opted for Mother’s Brewing Winter Grind, a coffee stout that distinctly tastes like a strong, robust cup of joe. I’m glad I chose a coffee-infused beer rather than one with chocolate. The latter might have been too much for the cake. I enjoyed chatting with the diverse group of people with different backgrounds, ages, and familiarity with local craft beer. 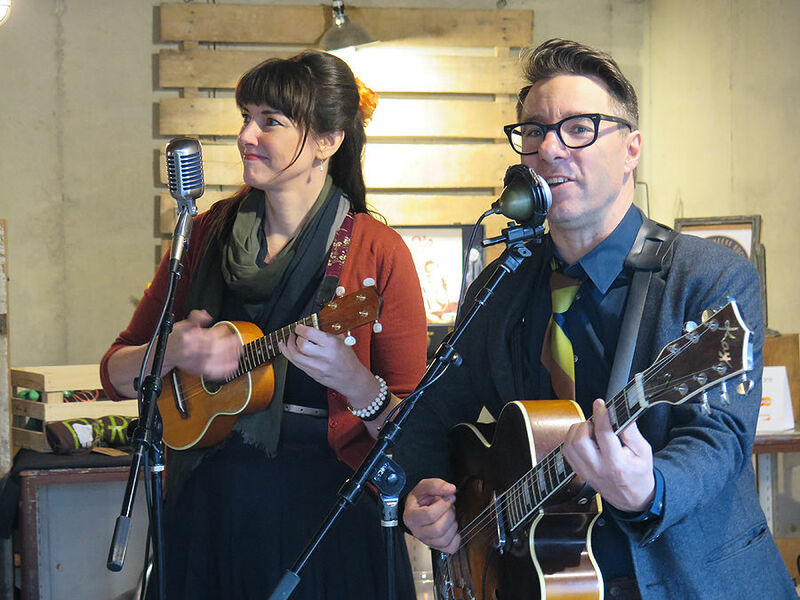 We wound down the night with more music from Victor and Penny. 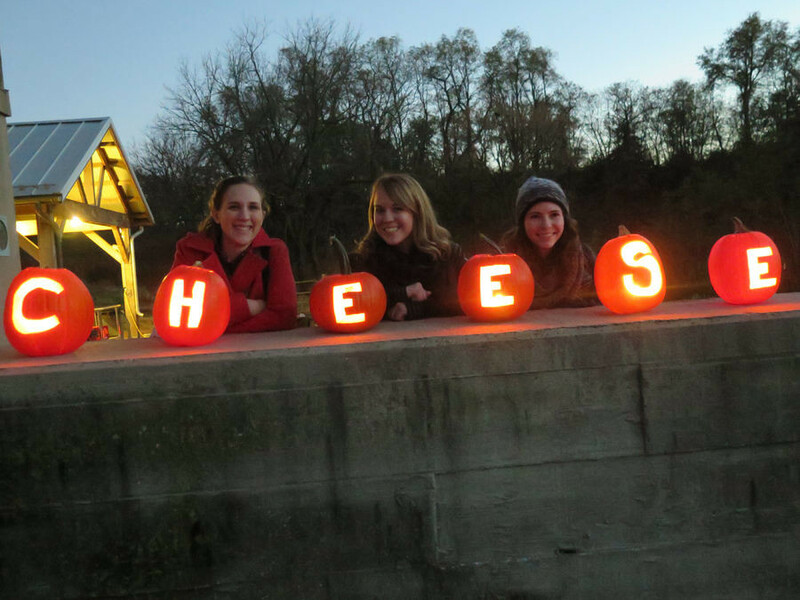 Some guests loaded up on Green Dirt Farm’s cheeses to take home. The Royals were competing in Game 4 of the World Series against the NY Mets and would later win the match 5–3. Most fans in attendance at the dinner made haste to head home or somewhere to catch the game. 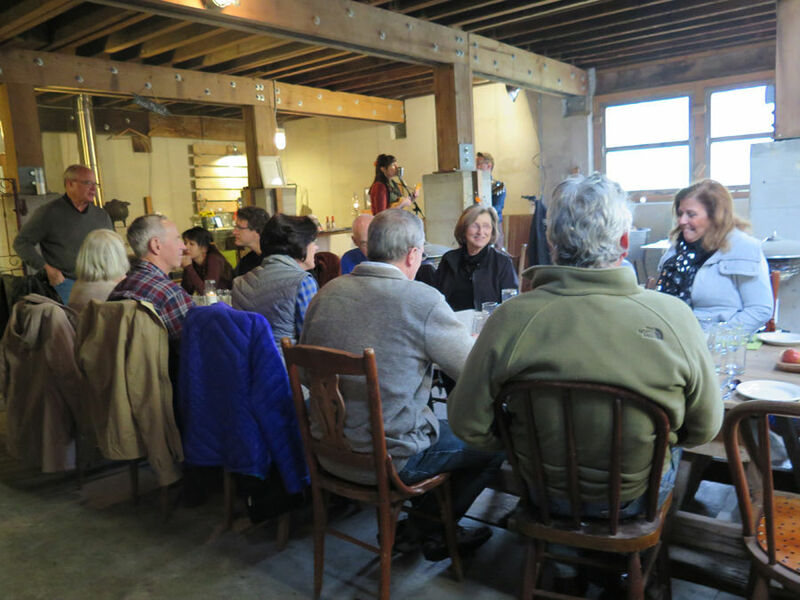 Overall, the dinner was a smashing success – a perfect union of local food, drink, and music. I was pleased to partner with and cross-promote a local farmer, brewers, and music act all in one setting. I left with a full belly but wish I could have stayed longer near a campfire, sipping on a seasonal beer and letting the last hours of Halloween slip by as the night grew dark and cold. If able, we might set up a similar event in the the first or second quarter of 2016. It would be interesting to see how we can pair seasonal spring craft beers with sheep’s milk cheeses. The cheeses will have subtly different tastes and aroma from the terroir and diet of the sheep. Until then, it was time to head back to Kansas City on the Ale Trail.